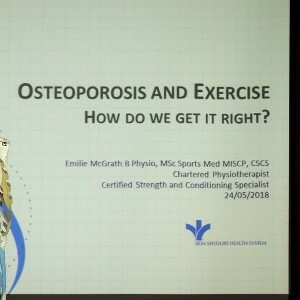 Physiotherapy Conference "Balancing Risk & Benefit"
We are Delighted to confirm that our next Conference will be held on Thursday 24th May 2018 at 6pm. The physiotherapy conference “Balancing Risk & Benefit” will take place in the day lounge following a buffet dinner in the Resturant. Director, Bone Health and Osteoporosis Program, Bon Secours Hospital.